Read-out Instrumentation Signpost: Plea to US and EU co-operation on tariffs. Joining a roundtable with the US government’s Department of Commerce to discuss US/European Union trade arrangements during the Hannover Fair, Analog Devices urged both sides to step up efforts to break down non-tariff barriers to trade in technology components and systems. Analog Devices told Patrick Wilson, Office of Business Liaison Director at the Department of Commerce, that regulatory burdens imposed by both the EU and the US impeded the transatlantic exchange of components and systems in important markets for high technology such as industrial and building automation, communications, automotive, and aerospace and defense equipment. The Department of Commerce had invited Analog Devices to participate in the roundtable discussion. It was part of a four-month long consultation organized by the Office of Business Liaison, the goal of which is to help US trade negotiators better understand the issues that US exporters and multinationals, such as Analog Devices, face when doing business in the EU. This consultation follows a pledge made by President Donald Trump in October 2018 to negotiate a trade agreement with the EU. Trade between the EU and the US is worth some $1.1tn a year. 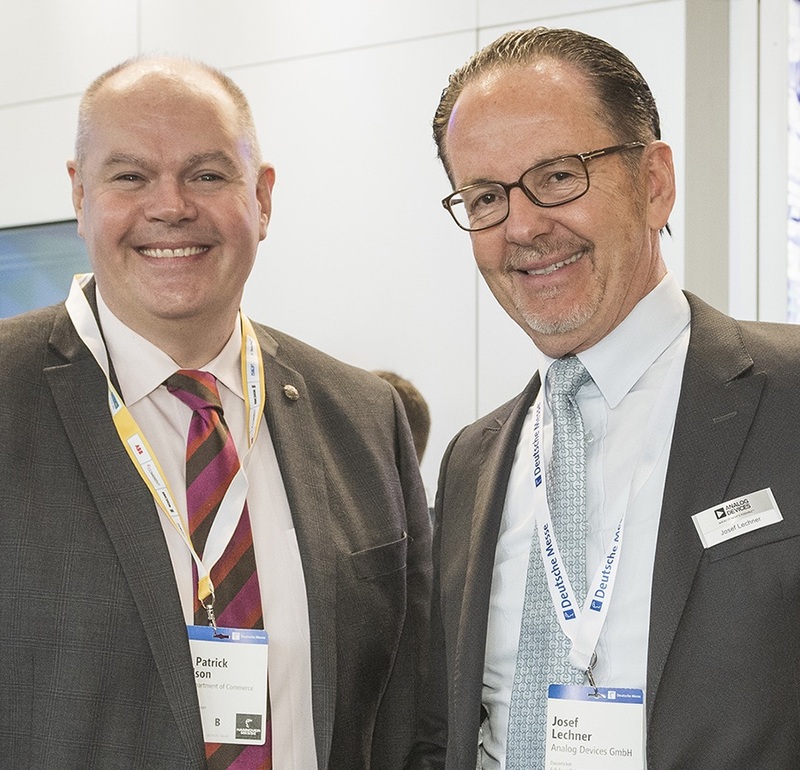 As part of his consultation with large US-based multinationals, Patrick Wilson visited the company Stand at Hannover Messe, which had earlier been on the route of a tour of the exhibition made by Germany’s Chancellor Angela Merkel. Mr Wilson saw how the company’s sophisticated solutions consisting of semiconductor hardware and software, including embedded artificial intelligence, are integrated into robotics, wind turbines and smart asset management tools. End products such as these depend on a fast-moving and intricate transatlantic supply chain for high-technology components and systems.